2 x 1.4 x .6 cm. 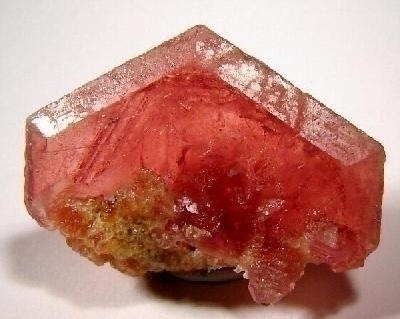 A lovely, gem-quality, bladed crystal with excellent reddish-pink color. For form, color, and gem-quality, this is a superb pezzottaite with these aesthetics. Wendell bought this soon after they came out, and such sharp and gemmy crystals are hard to come by now. Ex. Wendell E. Wilson Collection.